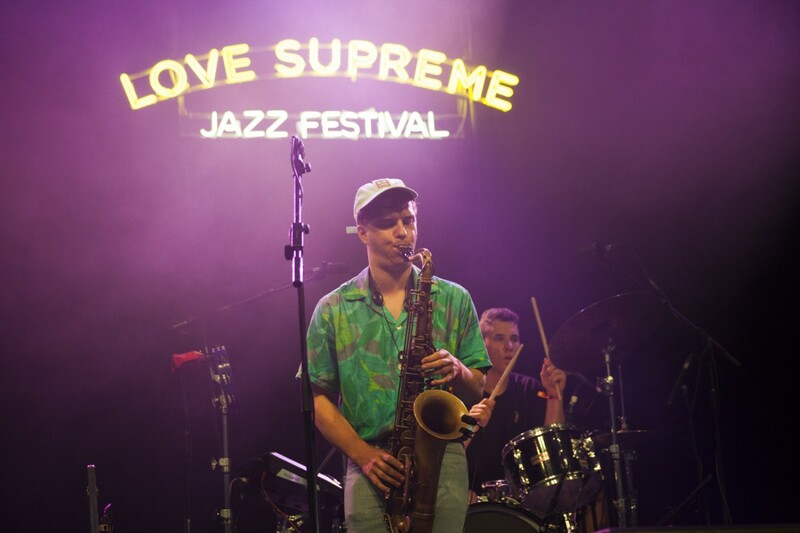 Review: Love Supreme Festival 2017 - art noise. 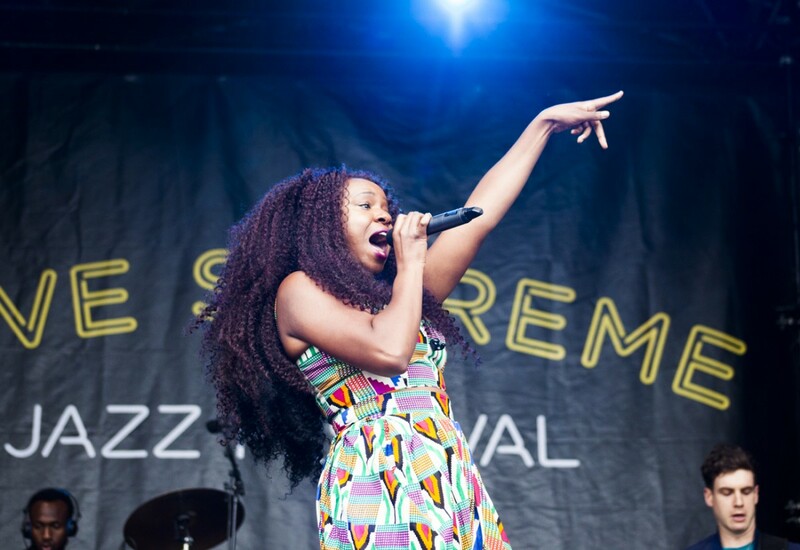 Love Supreme Festival returned for its 5th year, turning a field on the outskirts of the sleepy village of Hobbiton Glynde into a hub of jazz, soul, funk, and disco for the weekend. We headed down on Saturday afternoon, meandering through a sea of camping chairs and picnic rugs to see if it would live up to the hype. Arriving at midday, we were just in time to catch Poppy Ajudha whose beautiful mellow grooves were the perfect way to ease into the festival. Poppy lays her lyrics down with such meaning you can’t help but lean closer, drawn to her sound like a sailor drawn to a siren. 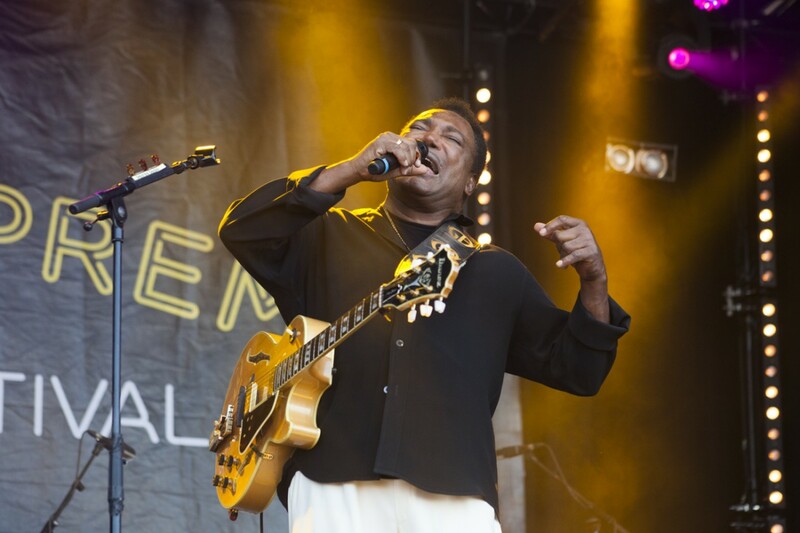 Next up we made our way to the main stage, to catch the end of Lee Fields & The Expressions, who had kept festival revelers bouncing throughout the sun-soaked afternoon. 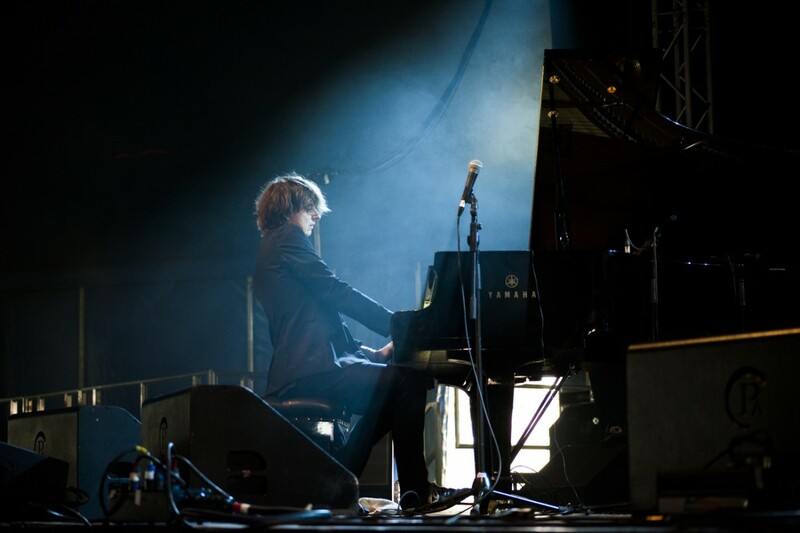 In need of some shade to cool down, we headed to the Big Top tent, and were rewarded for our efforts with Michael Wollny Trio, whose take on some old classics were a treat for both eyes and ears. 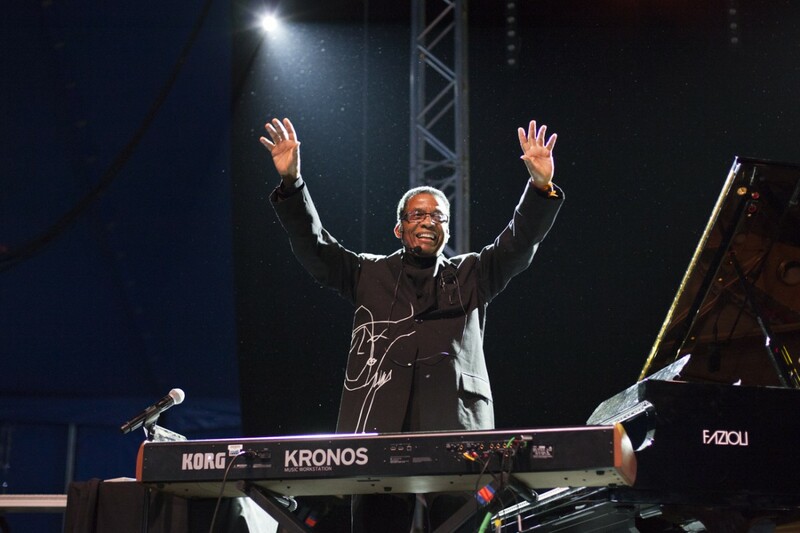 The energy that Michael plays the piano with needs to be seen to be believed (check out our Instagram to see what we mean), and had the crowd churning out applause after applause for the talent on display. While some tracks would feel at home in a smoky jazz lounge, others had more sinister melodies, that wouldn’t feel out of place on the soundtrack to a Hollywood thriller. We ventured back over to the main stage in time to catch D’Influence, who you may remember from their 90’s hits Hypnotise and Rock With You. While the band was eager to get the crowd worked up, the performance lacked a certain energy. Perhaps the afternoon heat was taking its toll. 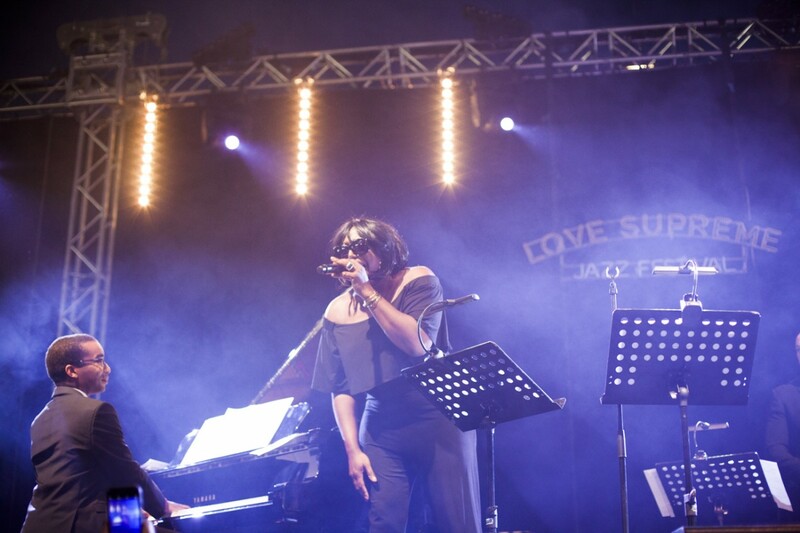 We took a moment to nip away and appease a craving for swing music with Mica Paris, who was performing Ella Fitzgerald classics to a packed out Big Top, proving it really don’t mean a thing if you ain’t got that swing. 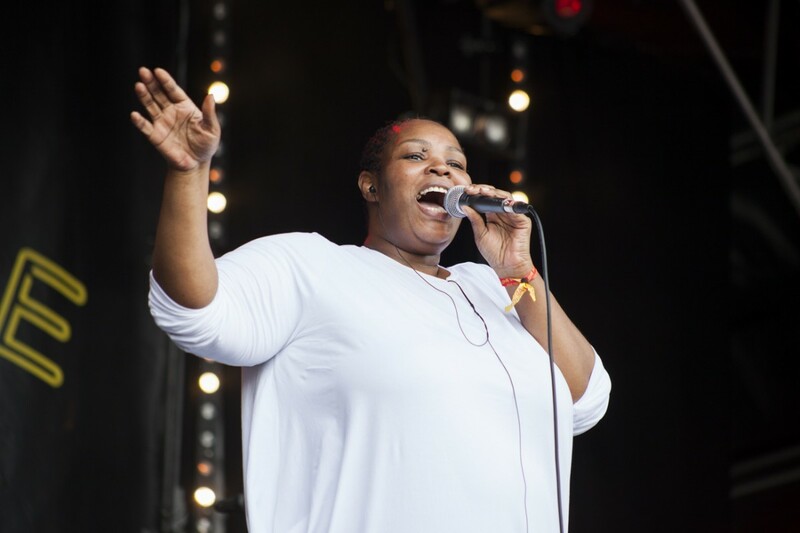 Revitalised, we were bursting with energy to dance, and who better to help us throw shapes than Nao? Not afraid to get into the moment, Nao looked like she was having an amazing time on stage, singing and throwing shapes with enthusiasm that the crowd really fed off of. 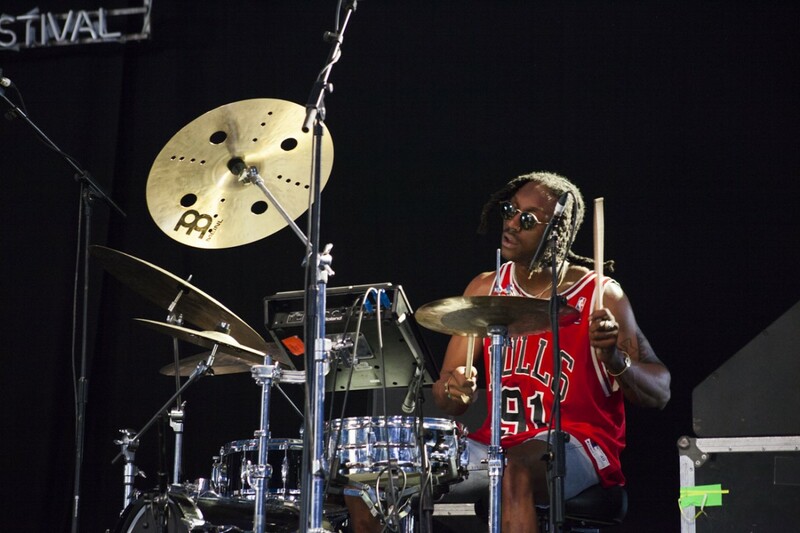 With our feet now itching for more dancing, we made our way to the Big Top to catch Badbadnotgood – a jazz outfit who seem to be put on this planet purely to make you dance. Opening with a rendition of the James Bond theme, the band filled the Big Top with energy, and it was not long before the room was bouncing. This is definitely one of those acts that you’ll want to see live to really experience. 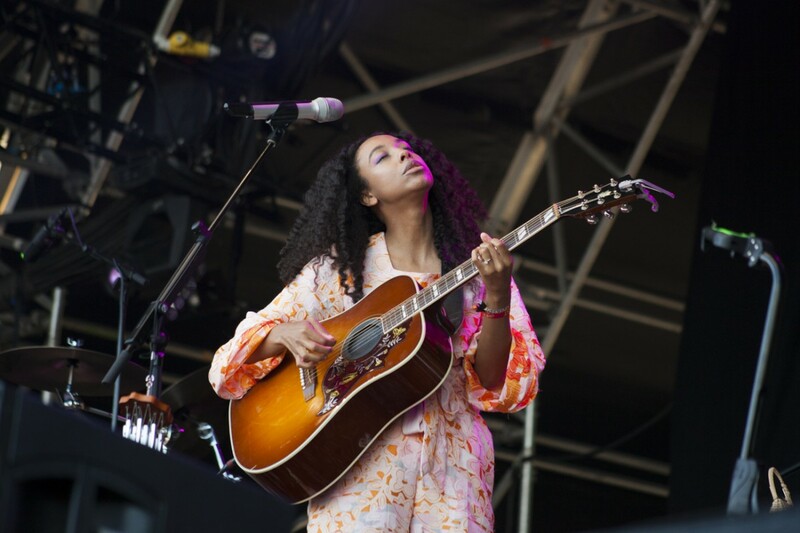 Back over on the main stage, Corinne Bailey Rae strummed harmonious melodies and let her delightful voice lull the crowd. A perfect chance to catch our breath and prepare for the evening ahead. 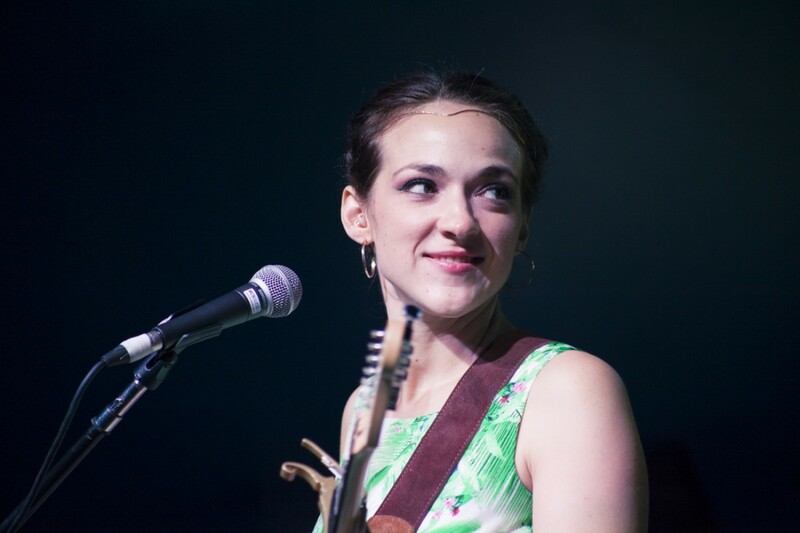 In the Arena, we caught a gem of a performance from Becca Stevens, whose genre-defying blend of folk, jazz, soul and anything else she can draw inspiration from quickly drew in a crowd. It’s beautifully written, and equally delightful in performance. Keep an eye out for an interview with Becca soon on our blog. Saturday night will be remembered for a long time by everyone who witnessed the main stage closing act. 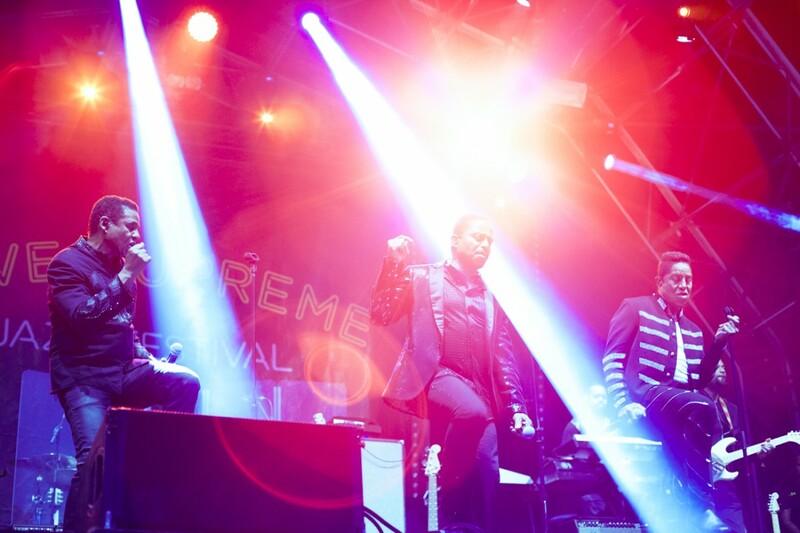 One of the most iconic bands ever, The Jacksons brought emotion, energy, and nostalgia to the main stage. 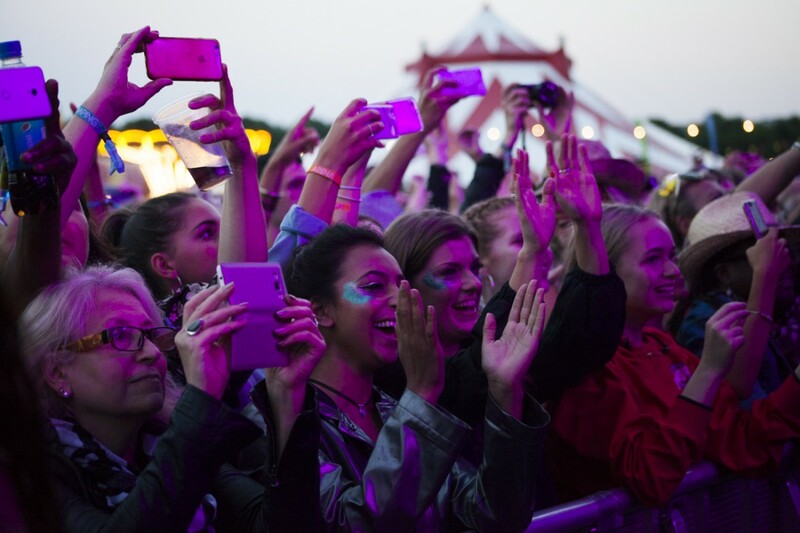 The crowd, sang, danced, and even shed a tear as one track was dedicated to the late king of pop. All in all, it was an incredibly moving experience – both for the feet and the mind, after which I made my way home to bed. How do you follow a Saturday night like we had just experienced? Step in Blue Lab Beats, whose chilled hip-hop/jazz crossover provided the perfect soundtrack to ease us into Sunday. We are big fans of Mr. Scruff and Gramatik here, and so took to this duo’s sound immediately. 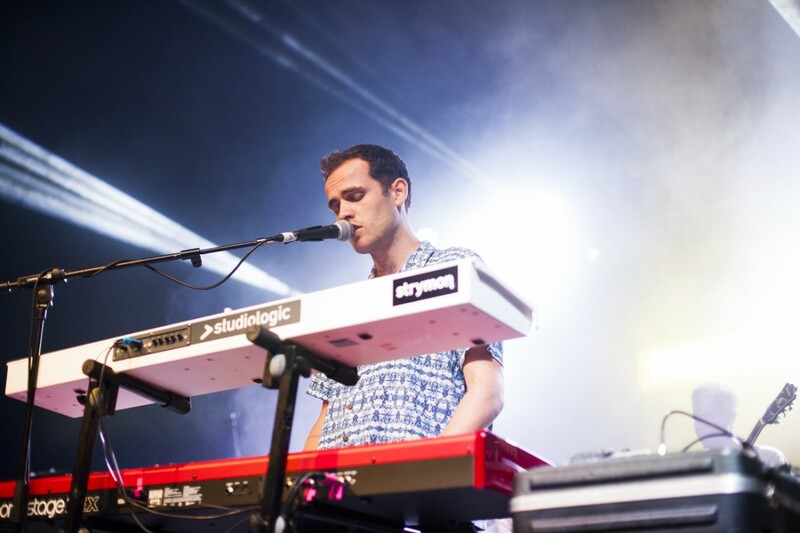 If you like chilled out mellow hip-hop, Blue Lab Beats is your new favourite band. 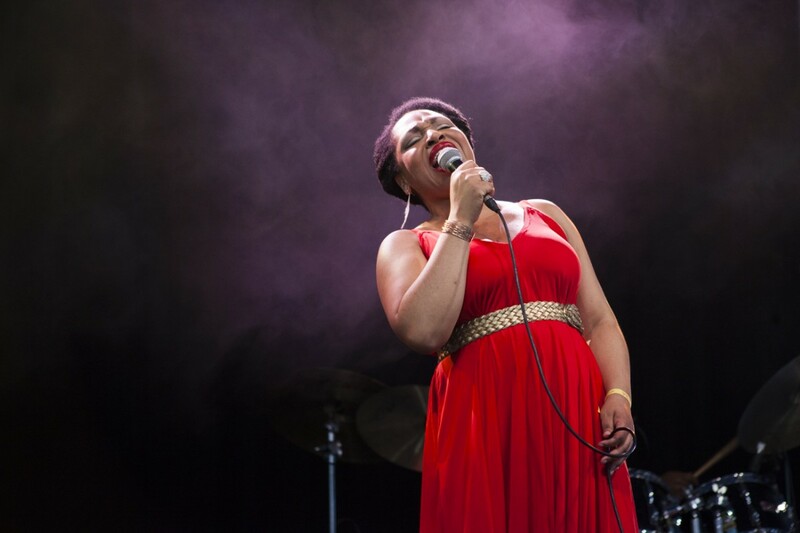 Following on from two stunning instrumentalists is an equally stunning vocalist. 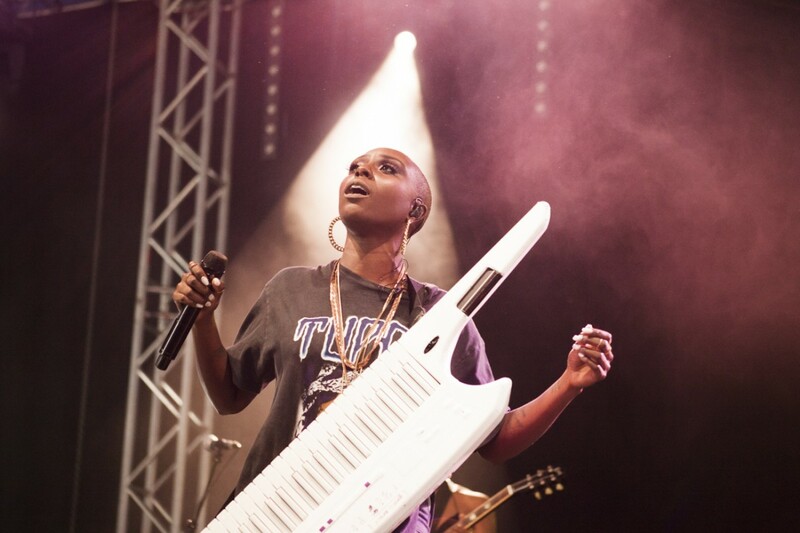 Charenee Wade has a soulful charm and tried her best to ignite the crowd who, perhaps due to the partying on the previous night are not quite in the mood to join in with Charenee’s playful antics. 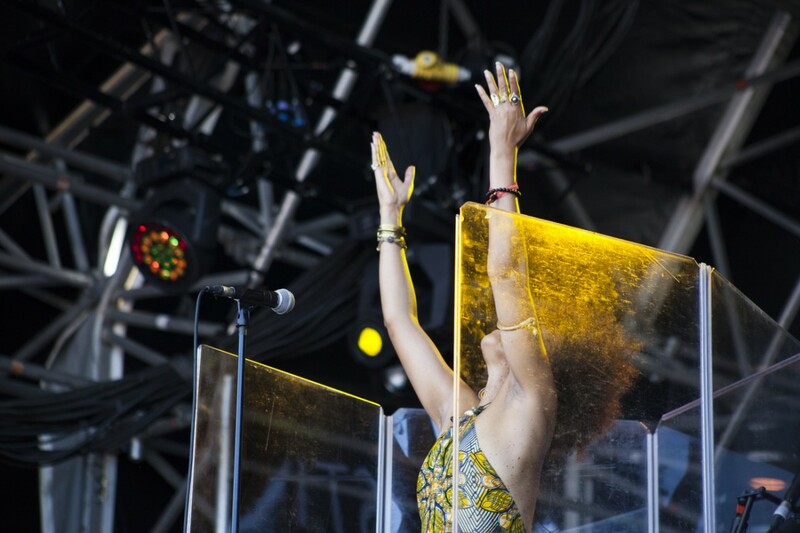 No matter though, she presses on with a stunning performance, filling the Big top with her amazing voice. 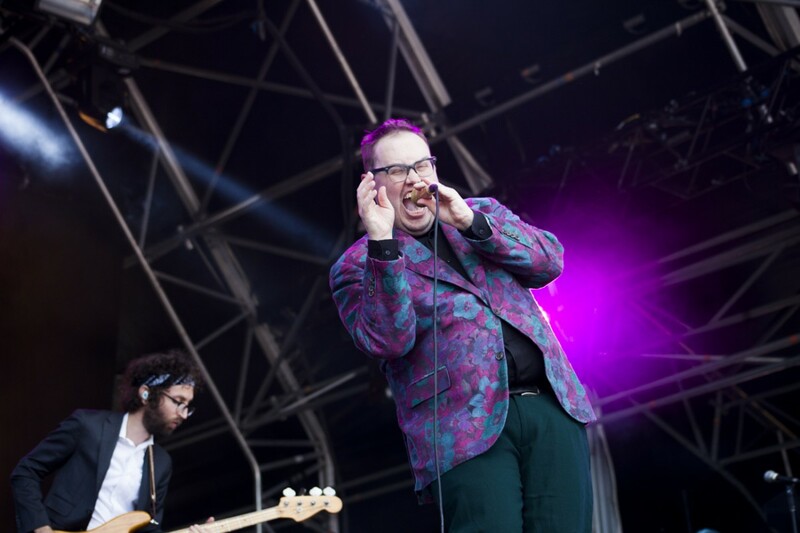 From one great voice to another, and the flamboyant antics of St. Paul and the Broken Bones, who were a highlight of the festival for many. A golden microphone, a flowery top and a personality that radiated brighter than both combined, St. Paul is an act made for main stage performances. An act worthy of headlining, and yet it’s only mid-afternoon. 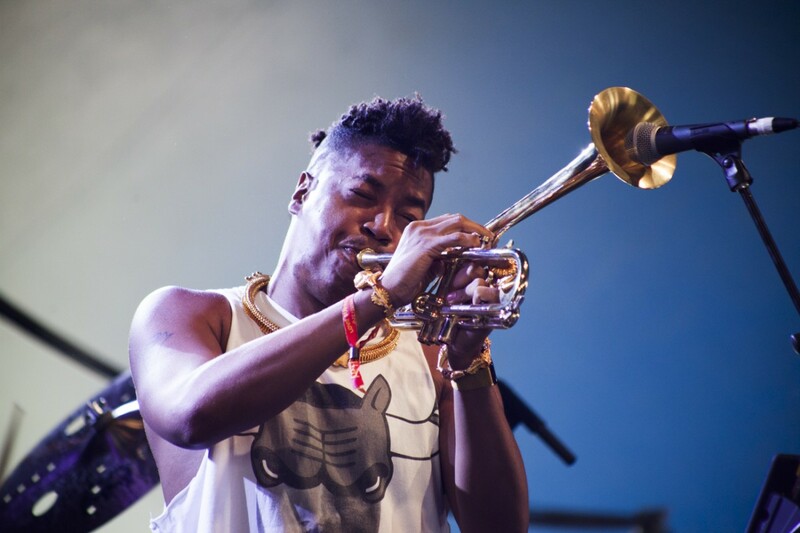 Right, back to talented instrumentalists we go, and wow what a talent Christian Scott is. The stylish performance had the crowd cheering and applauding throughout. This is what jazz is all about. 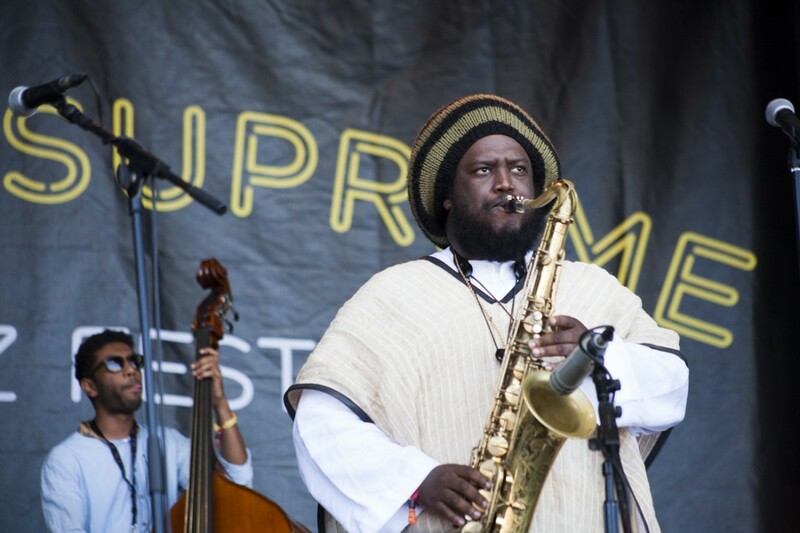 Over on the main stage, Kamasi Washington put his stunning saxophone skills on show and proved he’s one of the best in the world right now. This man can play with passion, style, and skill and if you ever get a chance to see him live we cannot recommend him enough. 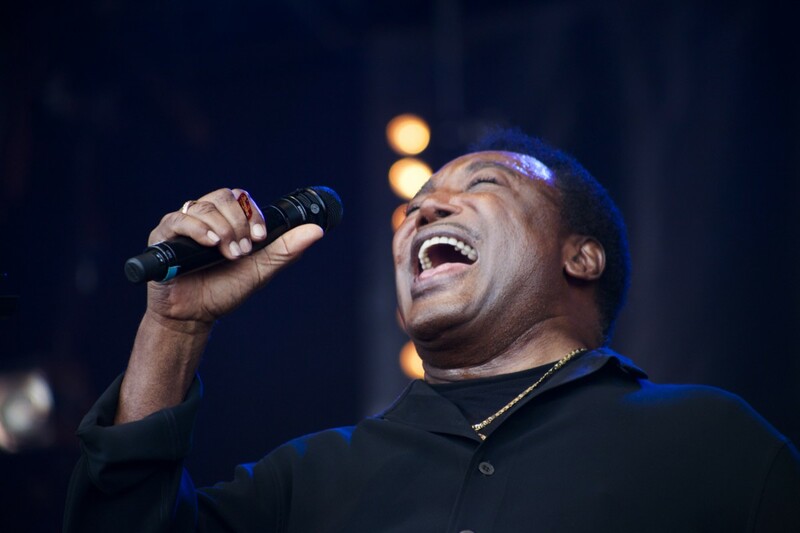 As the sun set on another successful Love Supreme, George Benson took to the stage to pour his heart and soul into a captivating performance. It was funky, it was fun, and well received by the audience. Give me the night he sung, and so we did. Like what you read? 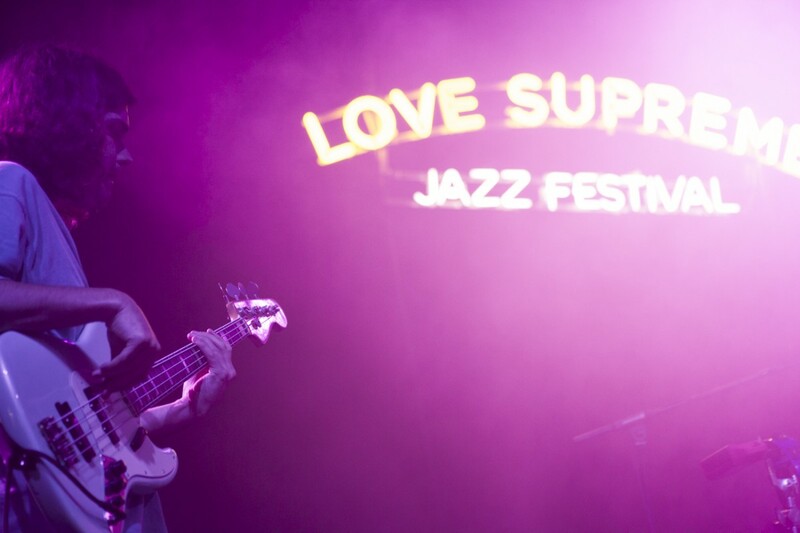 Buy tickets for Love Supreme Festival 2018 when they go on sale here.